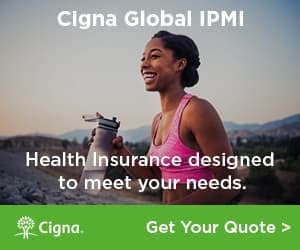 Get a quote for expat health insurance in Germany. Moving to Germany? Get a moving quote. Expats talk about living in Germany. From meeting people to adjusting to the German culture, expats offer a glimpse of life in Germany. This article highlights some of the tremendous contributions that expats in Germany have made on Expat Exchange. We thank all of you who have gotten involved in the Germany forum and/or posted a report about living in Germany. Should you learn German before you move to Germany? What type of apartments are typical in Germany? Expats offer advice and share 10 tips for living in Germany. Expats often move to Frankfurt for jobs in finance and IT. Frankfurt is continental Europe's largest financial center and has a population of approximately 2.5 million in the city and surrounding urban area. Towns in the Taunus area north of Frankfurt and Wiesbaden and Mainz to the west are popular among expats. There are many international and bi-lingual schools to choose from and lots of expat clubs in the Frankfurt area. A couple from the UK discusses their decision to move abroad to reduce living costs and travel more. For now, they are living in Eifel, but the locals are not welcoming and they are considering moving again. An expat living in Munich offers advice on moving to the southern German city. Great advice on getting a drivers license, renting a flat, and more.